Brushing our hair should be pretty straightforward. However, thanks to one too many passes with the flatiron, an overdose of color, or even just the normal wear and tear, it can easily turn into a painstaking task. Because there aren't just snarls and grimace-worthy tangles to contend with: We also live with an irrational fear of losing a more than normal amount of hair every time we work a brush through our vulnerable strands. Remember the days circa 1999 when we'd go for the full 100 strokes? Well, those days have long since passed, and now we put much more thought into our tools and brushing techniques. Luckily for us—and our poor hair—so many new brushes and tools have hit the market as of late, and they're specifically designed to tackle even the most stubborn of wet or dry tangles without the snapping and breakage we used to associate with our brushing routines. And since our strands are so precious, we decided to roll up our sleeves and conduct some research. The objective? To find the best brushes to effortlessly detangle both wet and dry strands. Curious to see which brushes made the cut? Keep reading for our top picks for wet and dry hair. 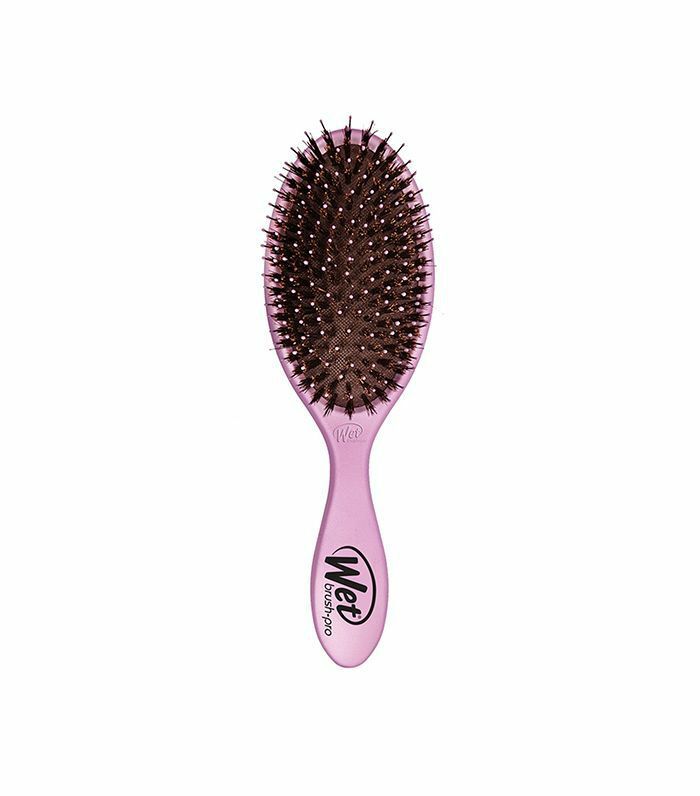 This do-it-all brush detangles both wet and dry hair, and it also works amazingly on every texture, whether your strands are ultra-thick or ultra-thin. Thanks to the brand's signature Intelliflex bristles, tangles dissolve with ease, and the brush is also designed to expertly navigate around extensions. Bonus: It also in plenty of pretty color options. We've been using this palm-size brush for years, and our admiration has only intensified over time. 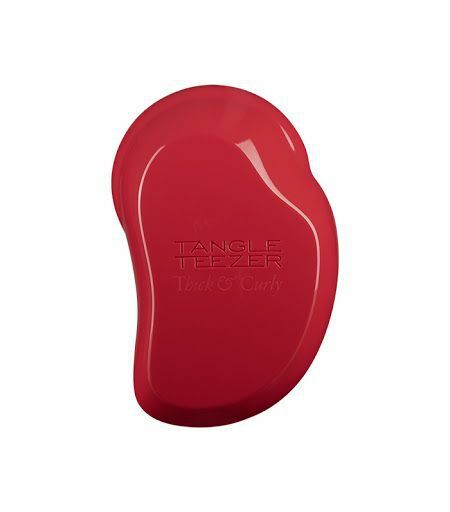 So you can imagine our excitement when Tangle Teezer came out with a brush catering specifically to thick and curly hair. It uses the same strategically ergonomic technology as the original, but the teeth are instead designed to be stronger, more flexible, and just a bit longer. Plus, the Firmaflex technology nixes frizz without deflating you hair's natural bend and curl. 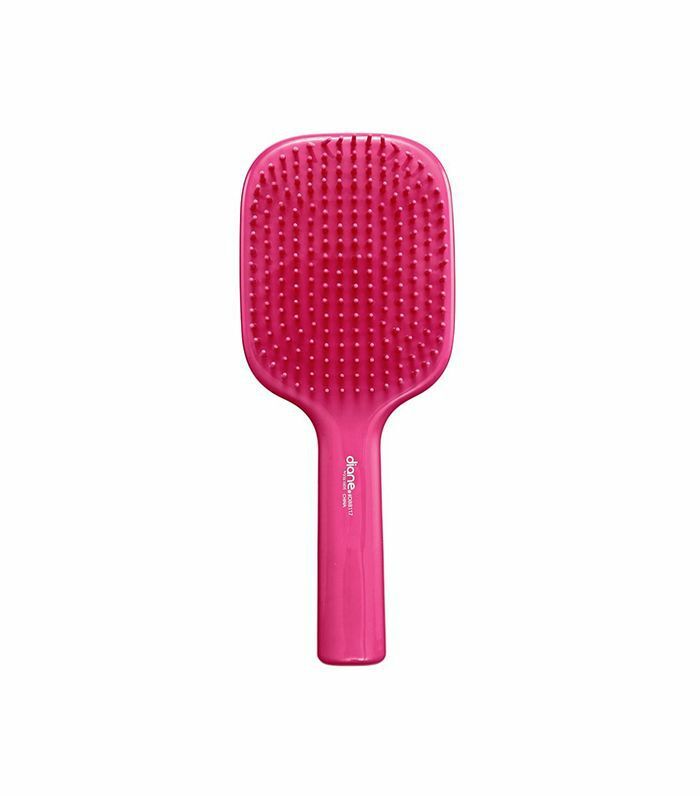 True to its name, this pretty-in-pink brush slickly maneuvers wet or dry hair and banishes knots in a flash. The key is in the variety of bristles: It features three lengths in order to prevent the damage and pesky breakage inflicted by brushes past. 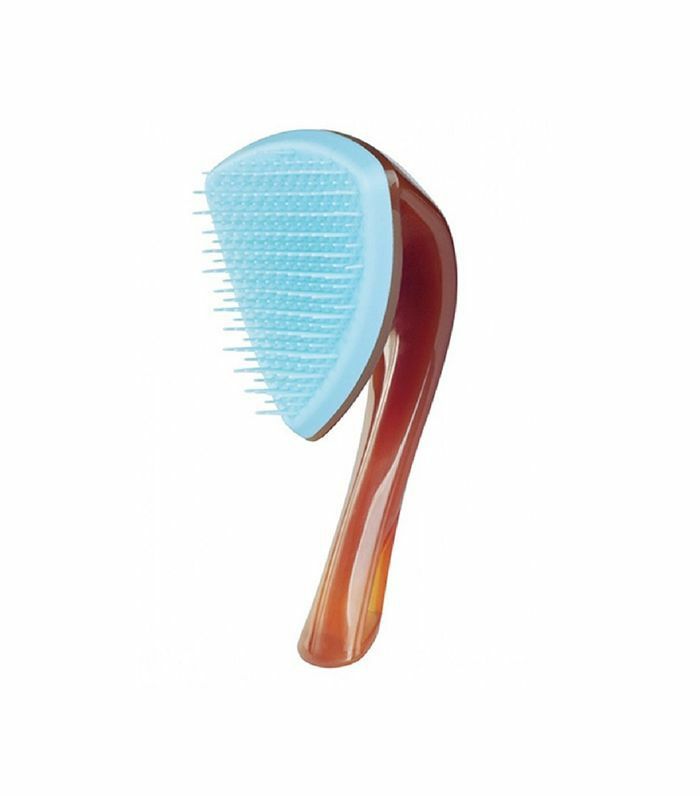 In addition to its cool, sleek structure, this brush from Cricket is also infused with a nourishing blend of oils (think argan and olive), and the bristles are made from keratin-enriched plastic for shiny, strong, and tangle-free strands. Use it on wet hair post-shower or for a midday touchup on dry. 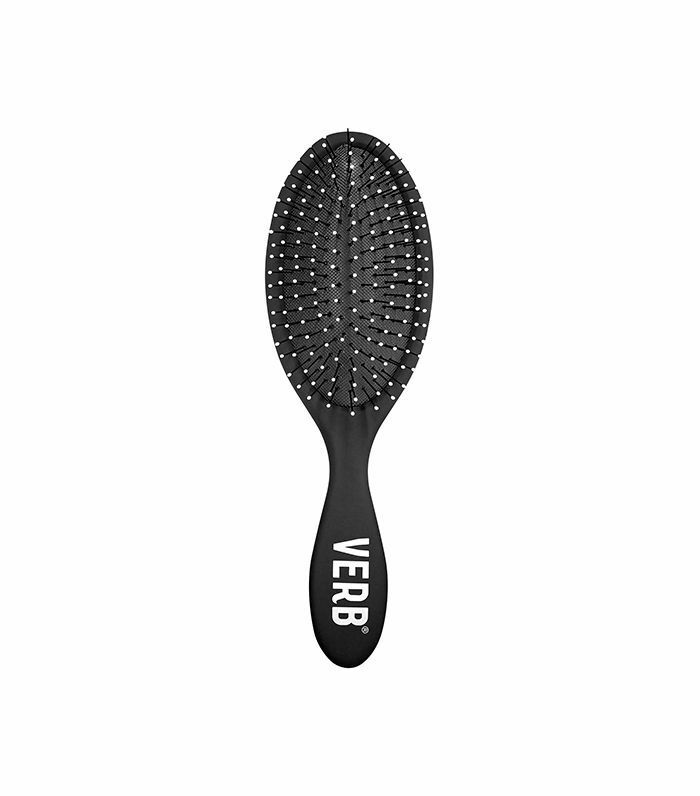 Considering how obsession-worthy their haircare is, it's not surprising Verb would come out with an easy-to-grip brush for detangling wet or dry hair. It works through knots without wreaking havoc on brittle ends and is the ultimate step pre-blowout. The bright lemon shade is an instant mood boost, and the beloved brush also features Drybar's expertise when it comes to bouncy, shiny, voluminous hair. It can be used on wet and dry hair alike, in addition to extensions. Plus, the bristles are extra flexible to ensure zero tugging and pulling. It's also ridiculously lightweight, which comes in handy after the arm workout required by an at-home blowout. 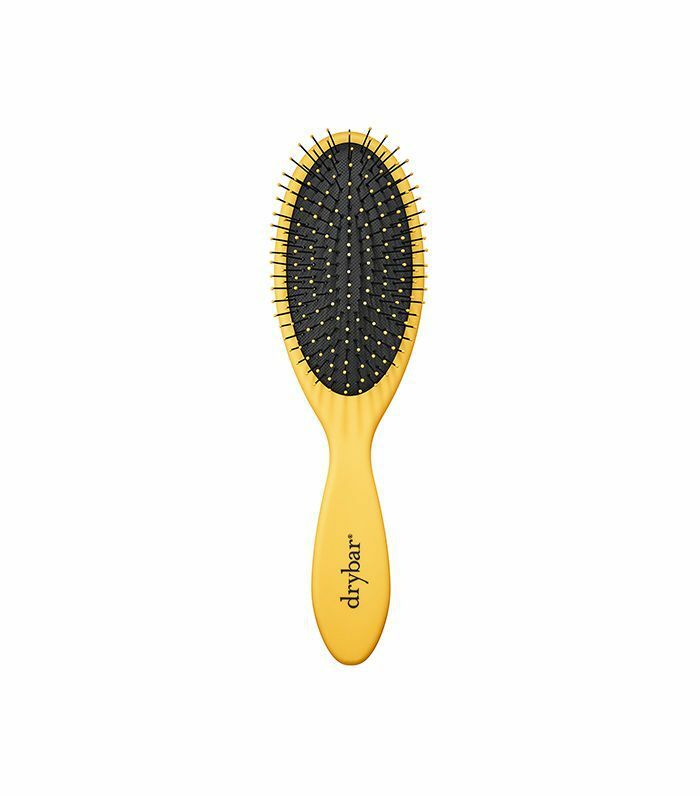 Though this brush is great for every hair type, it's especially helpful for those with lots of hair, thanks to the wide, paddle shape. Essentially it covers more ground in less time while still being kind to fragile locks. Nylon bristles make it easy to work through either dry or wet strands, and just a few strokes will lend a satiny finish. 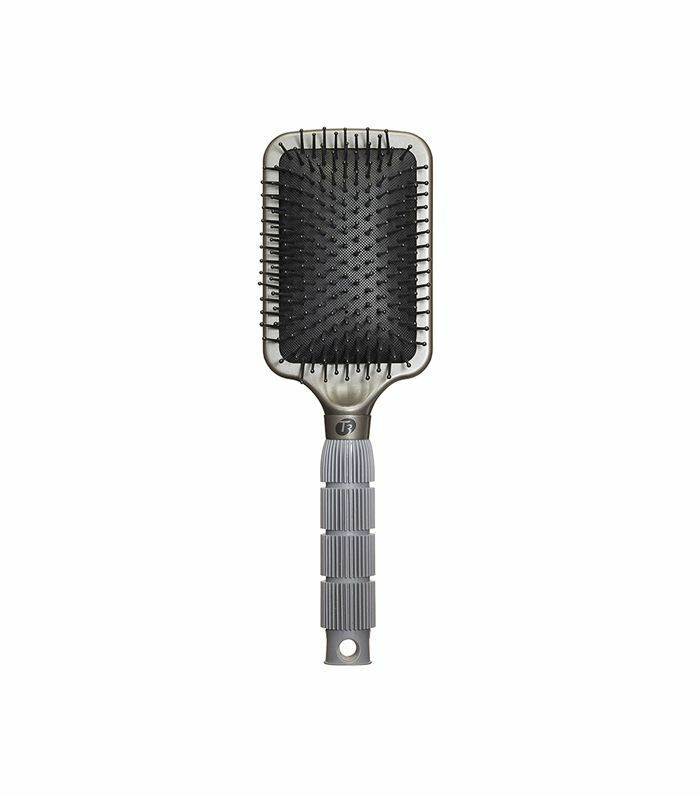 Consider this brush from T3 the PIC to your favorite hair dryer. Ultra-lightweight and featuring a soft, easy-to-grip handle, this deluxe brush from Harry Josh is great for tangles, shine, and yes, even hair health. The tiny ball tips massage the scalp to stimulate healthy hair growth while discouraging frizz and cringe-worthy snags. Next up: 16 products you'll find in Byrdie editors' showers.